This guy (or gal I should say) is quite the looker. This is Dot, one of my good customer’s (and friend’s) cat. I was at the Paramus Catholic High School Holiday Craft Fair on Sunday. Pat came by and we had a nice chat. 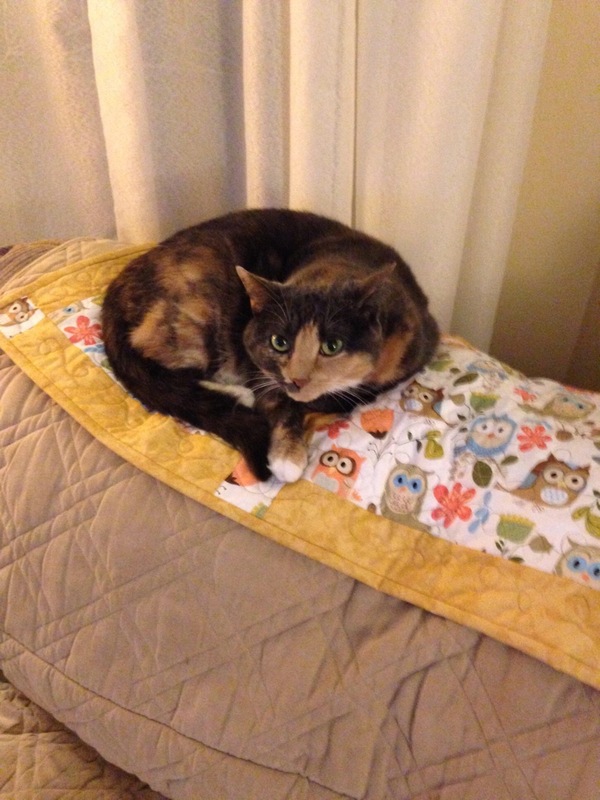 She was kind enough to share this photo of her cat lounging on the back of her couch on the table runner I made her. I am glad that Dot is putting it to good use!! !